A Niv-Mizzet, the Firemind possible enter the infinite interaction? 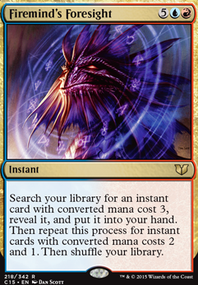 Does niv-mizzet, the firemind go infinite with Curiosity? 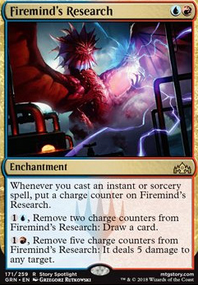 Would Niv-Mizzet, the Firemind work with Illusionist's Bracers? 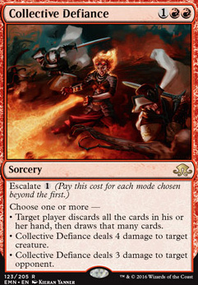 Whenever you draw a card, Niv-Mizzet, the Firemind deals 1 damage to target creature, player or planeswalker. winden02, thanks for the tip! It seems smart to add the redundancy. If nothing else, then it would lessen the chance that I have to discard something I want to keep while casting Faithless Looting . If I do test it, I would swap out Thing in the Ice Flip for 4 copies of Niv-Mizzet, Parun . I feel like have 8x Niv would also make running Thought Scour possible. 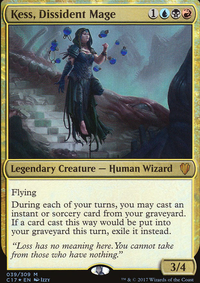 As my deck stands now, needing 33% of my combo in the grave makes it risky to cast Thought Scour , if I discard a Goryo's Vengeance or a Curiosity , it hurts. 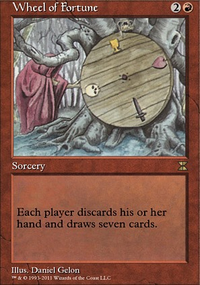 Adding another playset of Niv would lower the odds that I get rid of a piece that I want in my hand. It would lower from 66% to 50%. Losing out on Thing in the Ice Flip could hurt if I cant find the combo, but adding that redundancy could make the combo easier to find. 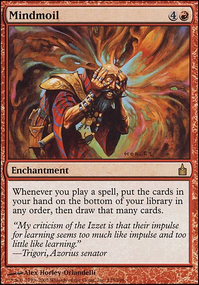 In testing, I'll swap out 3x Opt for 3x Thought Scour , Thing in the Ice Flip for Niv-Mizzet, Parun and maybe take out a Remand or a Spell Pierce for another Lightning Axe . It's definitely a cool concept, it might be speedy enough to work well! Thanks for the tip, it made me think a lot. 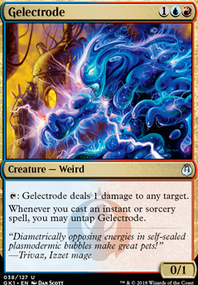 Side note, if you are interested in a cool detail I recently found out about Goryo's Vengeance The text on the card reads "Exile it (the creature) at the beginning of the next end step." 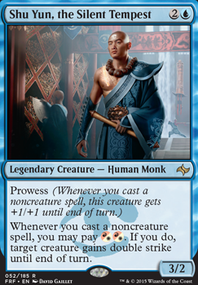 So, you can cast the spell on your opponents end step, and bring back Niv. 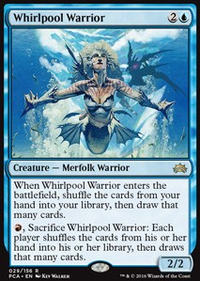 You don't have to sacrifice him until the beginning of the next end step, so you get Niv for your whole turn. 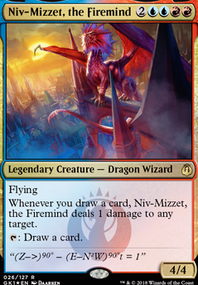 For Niv-Mizzet, the Firemind this doesn't really change much, but it makes starting the combo with Niv-Mizzet, Parun so much easier. 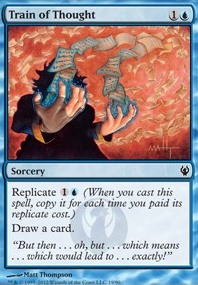 When you start your turn, you'll have the mana to enchant him with Curiosity , and mana left over to cast an instant or sorcery. 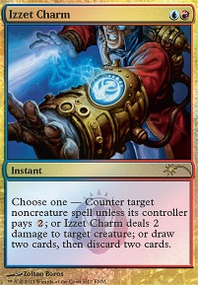 Even if you have no instants or sorceries in hand, all you have to do to start the combo is enchant him before you draw for turn. 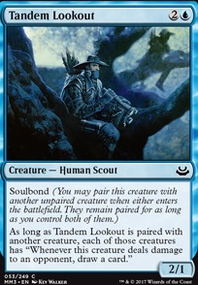 Then, draw for turn, and start the combo. 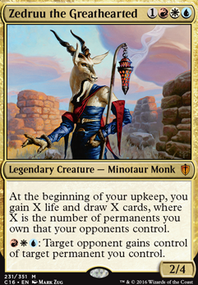 Parun still isn't as efficient as the Firemind, but if you bring him back on your opponents end step, you can start the combo no problem. I hope that was at least slightly interesting for ya. And thanks again, I'll let you know how testing the redundancy pans out! pidyon That rule is not a thing, I believe. You can have any number of any legendary in your deck (up to 4, of course). You just can't have more than one of any legend on the battlefield, which is something completely different. 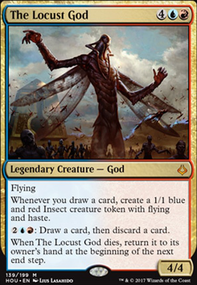 Also, Niv-Mizzet, Dracogenius and Niv-Mizzet, the Firemind aren't standard legal. Hi, heckproof! 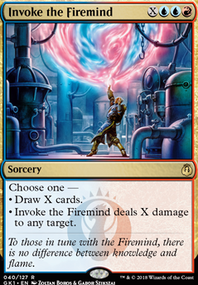 While I do like Niv-Mizzet, Parun , actually more than Niv-Mizzet, the Firemind , the Firemind is better for this deck. 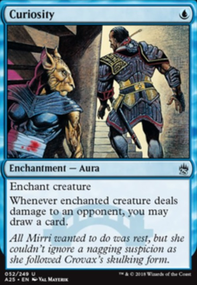 Yes, I can start the combo with both, but to do so with Parun, I have to do damage to an opponent, draw a card, or have myself or my opponent cast an instant/sorcery. If I don’t have extra mana, I can’t do any of that, so a turn 3 win wouldn’t be possible. With the Firemind, I am able to tap him to start the combo, 100% of the time. 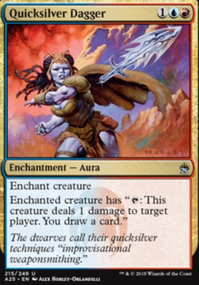 Believe me, the art for Parun is cooler, and him having an extra power and toughness over the Firemind is also nice, but the deck is simply slower with Parun.